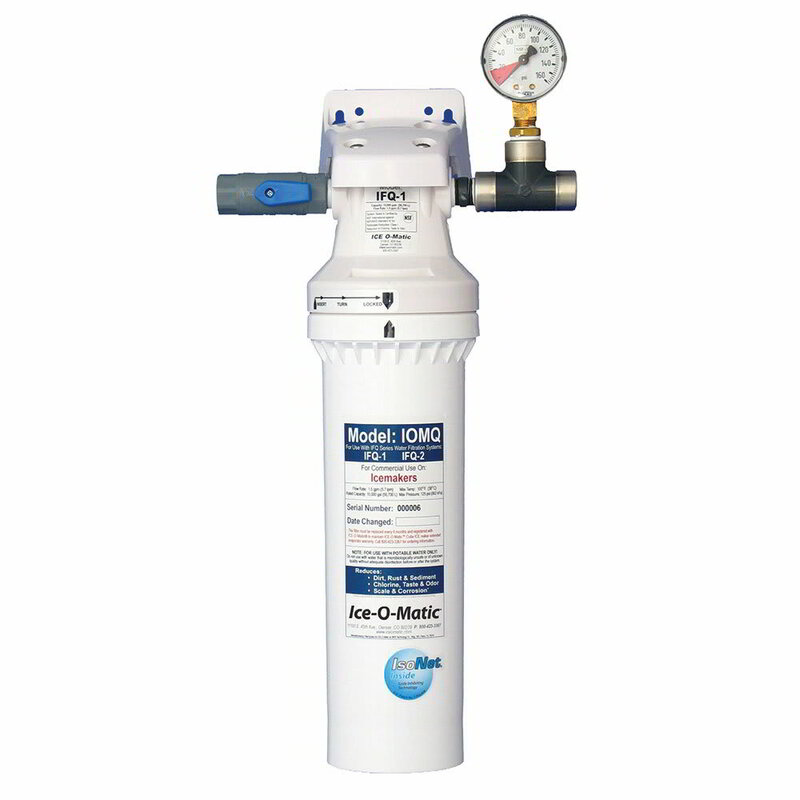 The Ice-O-Matic IFQ1 water filter cartridge assembly can handle up to a 1.5 GPM maximum flow rate, making it suitable for ice makers that produce up to 1,000 pounds of ice daily. This filter uses activated carbon to remove foul flavors and odors from the water, and can also remove dirt and sediment as small as 1⁄2 a micron. 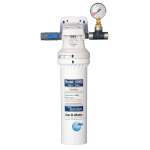 Replacing the filter cartridge is made simple by an intake shut-off valve and quick-connect fittings.